Experience Rome Like a Local! Our tour encompasses five days experiencing Rome. You'll stay in a beautiful hotel located within walking distance of many of Rome's treasures. 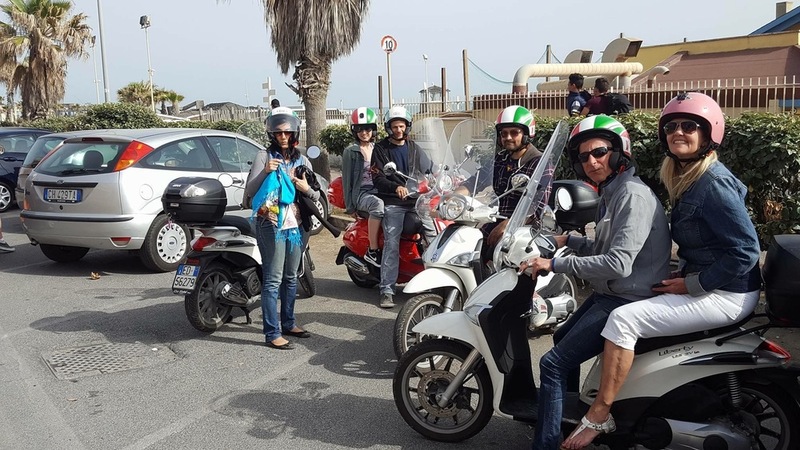 Your days will be filled with invigorating Vespa rides to locations inside and outside the walls of Rome, all hand-selected to allow you to immerse yourself in Rome's fascinating culture. Zip past the tour buses and crowds on a Vespa, with the wind blowing past you, enjoying all the sights and sounds of Rome. A Vespa is Rome's best and most efficient form of transportation. It's also one of the safest. Whether riding by yourself or seated behind one of our guides, anyone can do it! With our expert team as guides, we'll experience Rome as Romans, immersed in its rich culture. We'll explore iconic structures and historic sights, relax on the Mediterranean, and savor traditional Roman food and drink. All this while dashing back and forth on Vespas, sharing the natural beauty of this glamorous city with fellow travelers.